Frances Kathleen Groen was born in Brantford, Ontario. Her mother came from Holland and her father was a member of one of Canada's First Peoples, from the Six National Indian Reserve, near Brantford. Fran went to the University of Toronto, where she received the degree of Bachelor of Arts in 1960. After a period of work in the Brantford Public Library, she returned to the University of Toronto to take the degree of Bachelor or Library Science. She subsequently worked in the University of Toronto Library as an Assistant Reference Librarian before moving to California with her husband where she accepted a position at the Lane Medical Library at Stanford University and served there in several other positions until October 1967. 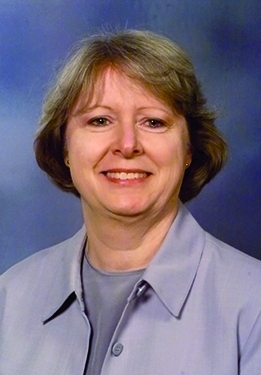 She next moved to Pittsburgh and took up positions with the University of Pittsburgh Hillman Library and later with the Falk Library of the Health Professions. While at Pittsburgh, Fran received the degree of Master of Arts in the History and Philosophy of Science and completed the course work for her PhD in the same discipline. 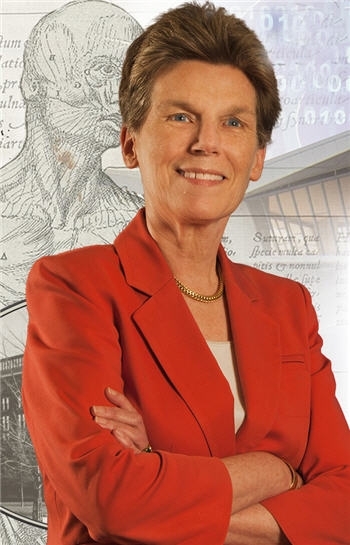 In 1973 she applied for and was awarded the position of Life Sciences Area Librarian at McGill University in Montreal, Quebec where she assumed progressively more responsible positions, ultimately becoming Director of Libraries at McGill in 1996.
International issues in librarianship have long been important to Fran. She believes that, " ... it's terribly important in North America -- and I think Canadians and Americans are very similar in this -- to step outside our box." She also states that, " ... the fundamental value of international development work [is] that you do see new ways of doing business in your own environment." Fran was involved in the development of a bilateral agreement between the United States and Canada, which " ... was a prototype for the development of arrangements between the Medical Library Association and other national groups of medical librarians, worldwide." Fran has played major roles in library associations on both sides of the Canada-United States border. 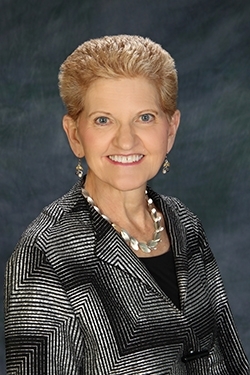 She has served on many committees of the Medical Library Association and was President in 1989-1990. During her presidency, some of the major controversies that arose concerned the introduction of Loansome Doc by the National Library of Medicine and the role of hospital librarians in the MLA. Reflecting on MLA's response to those issues, she says, "I think that's an ongoing challenge for MLA to serve all its members well and equally. It's just so clearly good for the association to do that. Good for the health of the association, to say nothing of the needs of the members, to have that responsiveness within the association." In the interview, Fran reflects on the differences and similarities between medical libraries in the United States and Canada. Of particular note is the organization of libraries in the academic setting, the role of the National Library of Medicine, and legislative issues such as copyright. Fran offers some valuable insights on library leadership and administration, observing, "I think a lot of our leadership grew from the operational to the administrative, and I think sometimes it's been very hard for people to say goodbye to operations." Reflecting on the changes in biomedical information and libraries in general, she believes that, "We don't have to do everything equally well, and yet, we have to have an ability in our profession to do what is satisfactory relative to the importance of the task at hand, but our culture isn't like that." As she speculates on the future of medical libraries, Fran observes that, "There's no way that the library can really move forward into the information society when we hang on to the past."